As a parent, I'm always on top of the latest trends and news on how to raise a healthy child or tween. But I was caught off guard when my preschool child exhibited symptoms of lice infestation! She frequently scratches her head and was irritable at bedtime due to unbearable itching. My daughter has become very sensitive to lice bites! Upon close examination, I saw nits on her hair strands. No one in our household has head lice and so I was pretty sure that she got it from one of her classmates. It seems like Head Lice are a common problem that affect anyone at any age regardless of personal habits. The "kuto" infestations are most common in school-age children. Even Love Añover (a celebrity mom), related her dismay on finding out that her child got infected with head lice by their house helper. “We were very careful with my daughter’s hygiene and surroundings, so I couldn’t believe it when she started scratching her head. Sure enough, we found head lice! We didn’t think it was possible for my daughter to get head lice given how young she was at the time, but eventually we found out that she got them from our household help. When I was a child, we only used suyod, which was quite inefficient in getting all the lice out. For my daughter, we wanted to try something clinically tested and proven in removing lice. We tried Licealiz head lice treatment shampoo and after two weeks of use, my child was lice-free!” she shared. It is a good thing that there's an over-the-counter head lice treatment shampoo (Pyrethrin) Licealiz, formulated by Lamoiyan Corporation. This shampoo is applied to the scalp, left on for 10 minutes and then rinsed off. Often, a second insecticide treatment is recommended after the first application as the life cycle is about seven days from the laying of the eggs to the hatching. 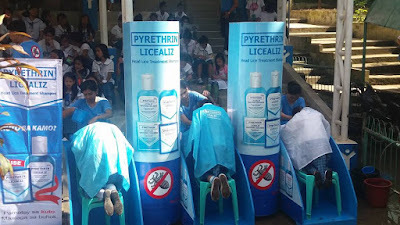 With September being Head Lice Prevention Month, Lamoiyan Corporation partnered with the Mother and Child Nurses Association of the Philippines (MCNAP) and UP Manila College of Public Health, in launching #KilusangKontraKuto campaign that aims to spread awareness about lice infestation prevention and treatment. The #KilusangKontraKuto (KKK) health education movement seeks to help local communities address the problem of head lice. 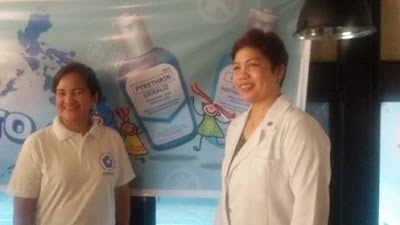 “A study by the DepEd in 2009 estimated that 8 million public school students aged 7 to 12 years old* were infested with head lice,” according to Dr. Arlene Bertuso, an entomologist and professor from the UP Manila College of Public Health. Dr. Bertuso recommends that parents regularly inspect their children’s hair, as well as the hair of everyone in the household as the head lice can live for up to 30 days in a human head and that female lice can lay up to 100 eggs in their lifetime. While a continuous cycle produces more and more lice, itchiness could be the least of a child's worries. Many lice-infected children have experienced being ridiculed and this can result in a lot of emotional distress because many people still mistakenly believe that lice infestations are a sign of poor hygiene. Worse, the teasing often leads them to miss school for days at a time. 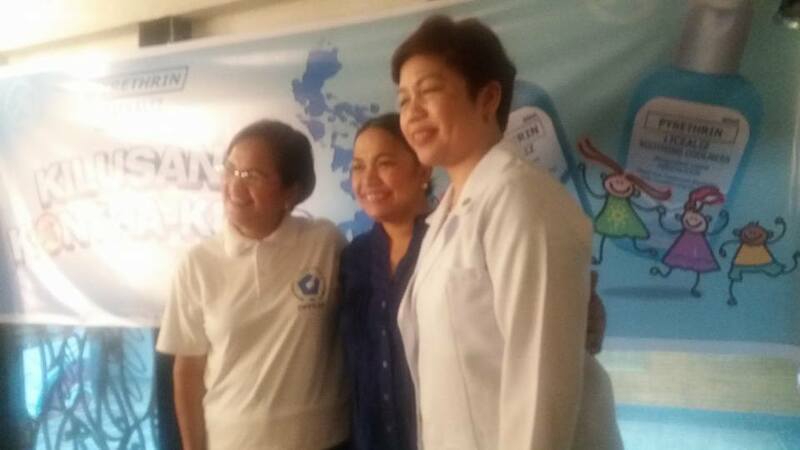 Last September 8, 2016, I joined in fellow moms at the Kilusang Kontra Kuto activity at Bagong Nayon 1 Elementary School in Antipolo. Licealiz Team had set up hair washing stations, where they shampoo three gradeschoolers at a time with Licealiz. Each were given a towel to dry their hair and a fine-toothed comb to get rid of the dead lice and nits to prevent further infestation. 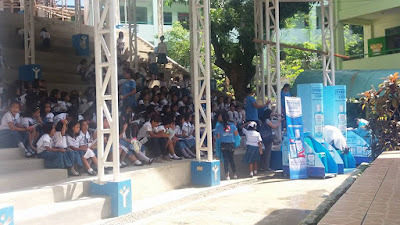 On stage, we joined in parents as KKK Activations ambassador Dr. Maria Michelle Vita debunked lice myths and lectured on how lice spread and how to treat the lice infestation correctly. 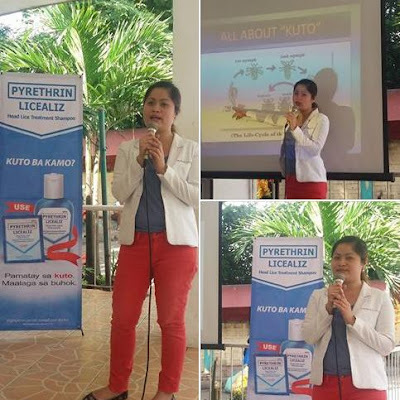 Dr. Vita travels with the Licealiz team and gives lectures to parents of public school students about head lice prevention and treatment. “We formed the Kilusang Kontra Kuto to help stop the spread of misinformation about kuto and to remove the stigma associated with being infested. Kuto is a public health problem that can be solved with the help of everyone from the community.” explained Dr. Vita. There’s a lot of misinformation about lice and #KilusangKontraKuto has been formed to set the record straight when it comes to head lice diagnosis, treatment and prevention. This September, Licealiz will continue arranging shampooing programs and activities for public school students all over the country and will also be posting educational materials on head lice and how to fight them in its Facebook page. 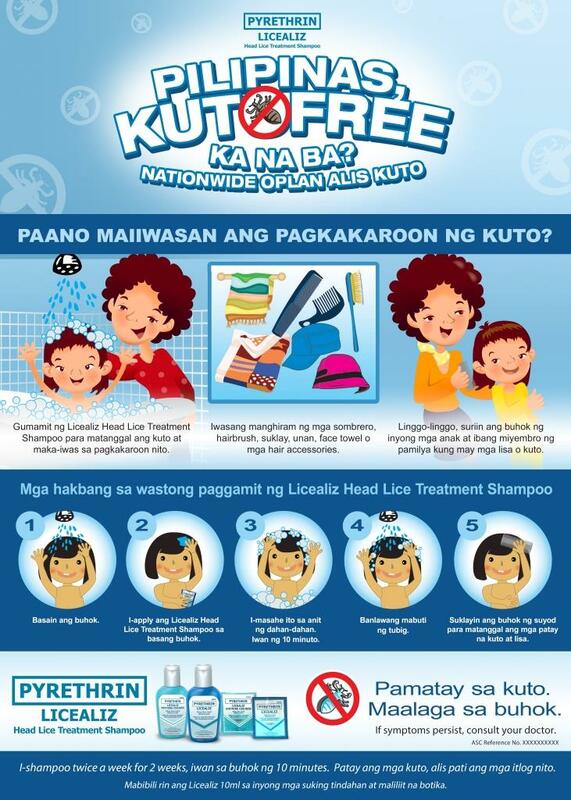 Do join in the #KilusangKontraKuto in changing the public’s perception about lice infestation and in disseminating correct information on head lice prevention and treatment. Visit Licealiz’s Facebook page at www.facebook.com/licealiz for more information.